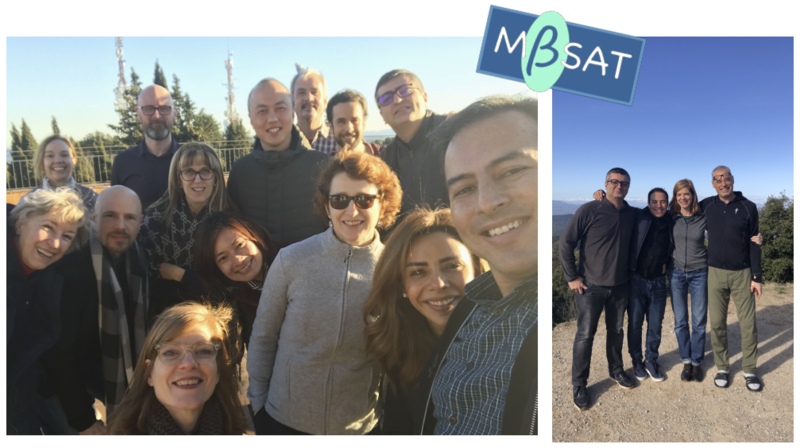 Soon there will be a group of highly qualified and committed teachers spreading the MBSAT protocol in different continents. Mindfulness-based strategic Awareness Training is expanding internationally! The MBSAT Teacher Training MBSAT-TT is a rigorous program following the high standards of TAC (Teaching Assessment Criteria established by Oxford University in cooperation with other universities) and consists of four one-week modules spread over a year plus a personal teaching project guiding and videotaping a 8-week MBSAT program with a group. The first incredibly diverse, international group completed Module 1 in January 2018, comprising participants from Korea, Singapore, Indonesia, California / USA, Mexico, Lebanon, France, Spain, Italy and Switzerland, all with a successful professional career in diverse sectors. 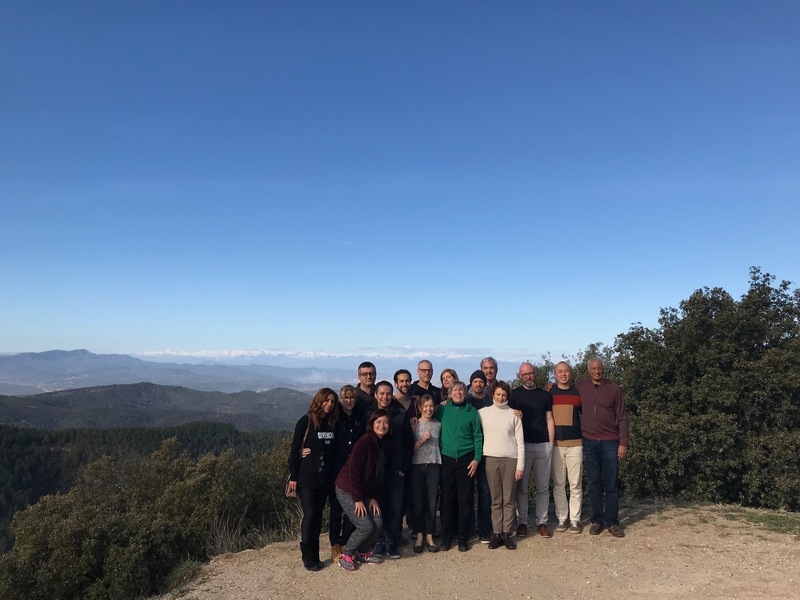 The module took place in a retreat site (an ancient monastery) atop a mountain near Barcelona with an incredibly beautiful view of the Mediterranean on one side and the snow-covered Pyrenees on the other. The group immediately bonded and great friendships were created in a trusting atmosphere that led to big strides in learning. The teachers, too, fulfill the highest standards. 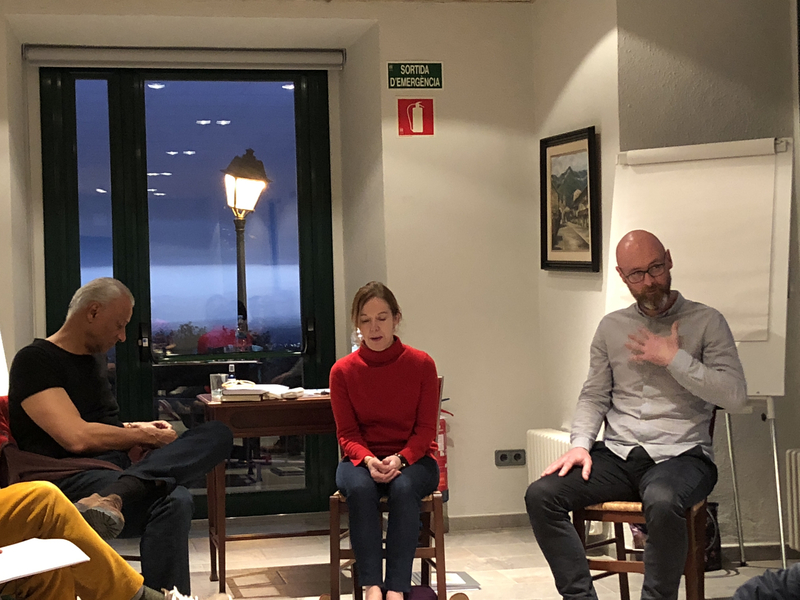 All three teachers in Module 1 have a Master degree in Mindfulness-Based Cognitive Therapy from Oxford University and in addition have other qualifications. Juan Humberto Young, the Academic Director of the Teacher Training, also has a Doctorate in Management, a Master in Applied Positive Psychology from Univ. of Pennsylvania, a MBA from University of Chicago, a Ms in Risk Management from NYU and a MPA from Harvard University. Dr Davies has a Doctorate in Genetics and Biochemistry and Jim Clark is an Accredited Cognitive Behavioral Therapist. All three have been teaching together from day 1 to 5. The second module takes place from 30 April – 4 May, this time in the countryside in Switzerland near Bern. And already inquiries start coming in about the next MBSAT-TT program as the word about this innovative training spreads. IE University, Madrid, Spain, School of Human Sciences and Technology, is the host of MBSAT-TT and will also issue the MBSAT Teaching Certificates. It has an excellent international ranking among European universities. Most of all it had the vision to adopt mindfulness in the workplace as a topic of teaching in early 2013, long before mindfulness started to get public attention, by launching together with Juan Humberto Young as Academic Director the Executive Master in Positive Leadership and Strategy, where mindfulness has been an integral part of the curriculum from its first intake.